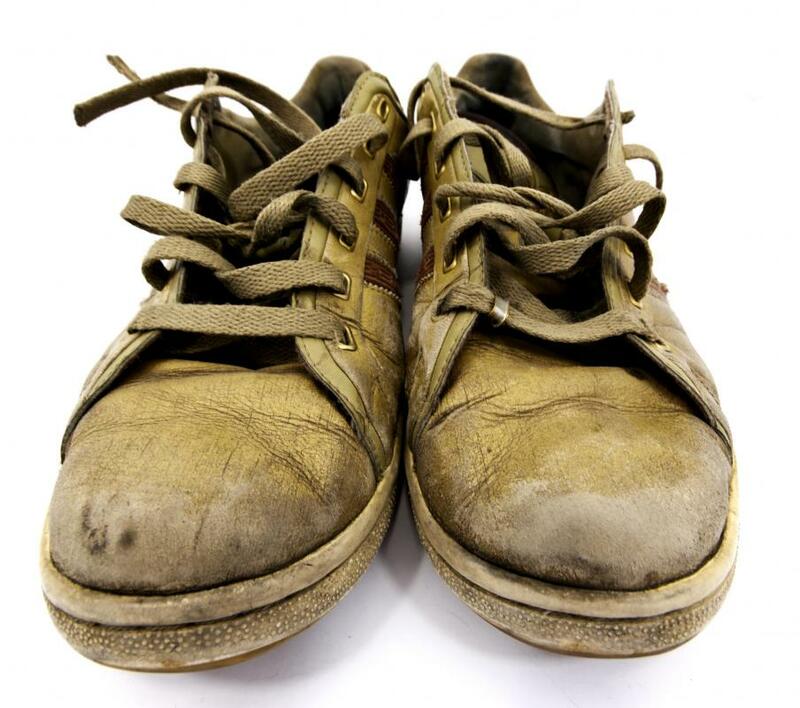 Baking soda can be sprinkled into shoes and left to sit overnight to help eliminate foul odors. Baking soda can be used to deodorize a litter box. Baking soda added to soap can be used to wash hands that smell like onions. Patio furniture cushions can be stored with baking soda sachets to keep them smelling fresh. 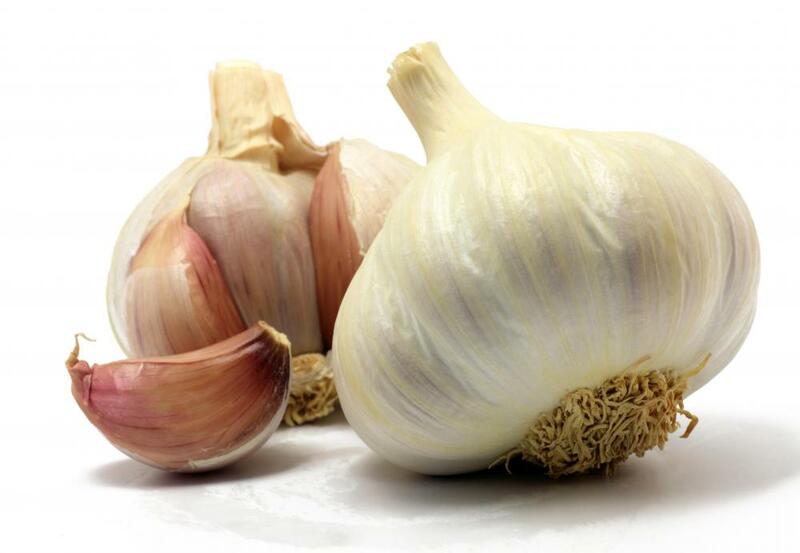 Baking soda may be used to remove the smell of garlic from hands. To eliminate odors in athletic shoes, sprinkle the insides with baking soda after taking them off. Jar and a scoop with baking soda (sodium bicarbonate). 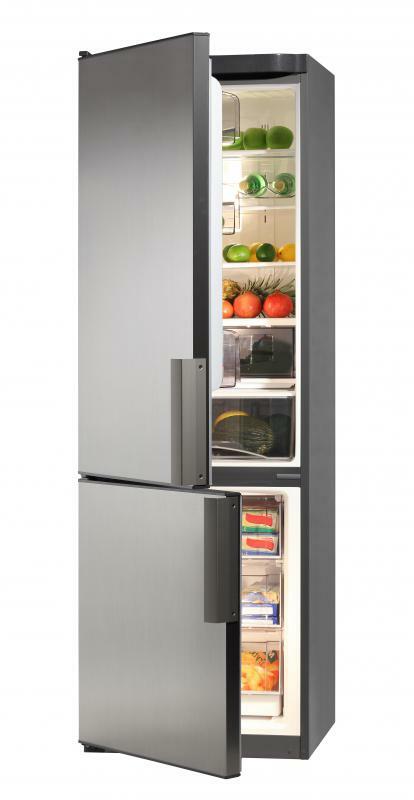 Many people use baking soda in the refrigerator to absorb odors. Baking soda can be used to remove odor from diaper pails. 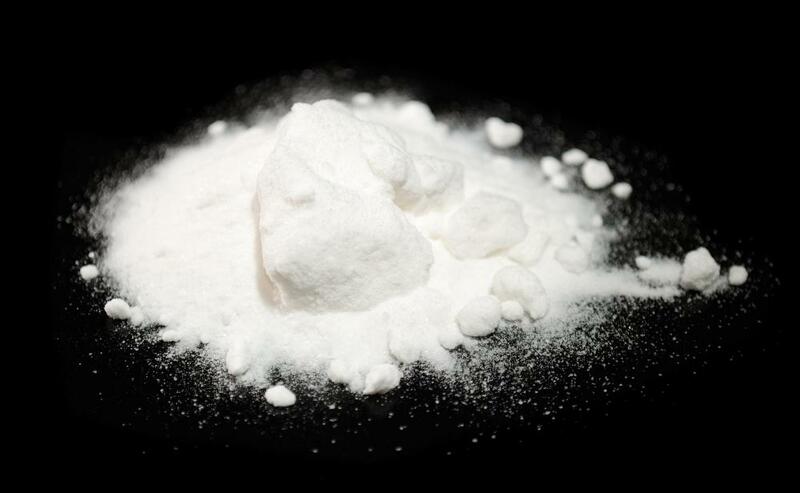 There are literally hundreds of household uses for baking soda. Not to be confused with baking powder, which has added acidifying and drying agents (typically cream of tartar and starch, respectively), baking soda is pure bicarbonate of soda. The beneficial qualities of baking soda are the result of its ability to act as a buffer, neutralizing both acidic and alkaline substances to regulate pH. This is the secret behind its effectiveness as an odor remover—it doesn’t just mask offensive smells, it neutralizes them. Baking soda is inexpensive, environmentally friendly, fragrance-free, and nontoxic, making it a perfect deodorizer for use in areas frequented by children or pets or where food is handled. Place an opened box of baking soda in the refrigerator and the freezer to absorb food odors; replace with a fresh box every three months. Smelly drains in the kitchen or bathroom? Run some warm water and spoon about ½ cup (120 g) of baking soda down the drain. If you like, you can do this every time you change the odor-absorbing box in your fridge/freezer—the old box will work just fine. To get rid of garlic or onion odors from hands, add 1 teaspoon of baking soda to a dab of liquid hand soap or dishwashing liquid and wash hands well. Sprinkle baking soda into the bottom of garbage cans and diaper pails to control odors. Periodically, wash out the garbage can or diaper pail with a solution of ¼ cup (60 g) baking soda dissolved in 1 quart (1 liter) warm water; rinse with clean water and dry well. 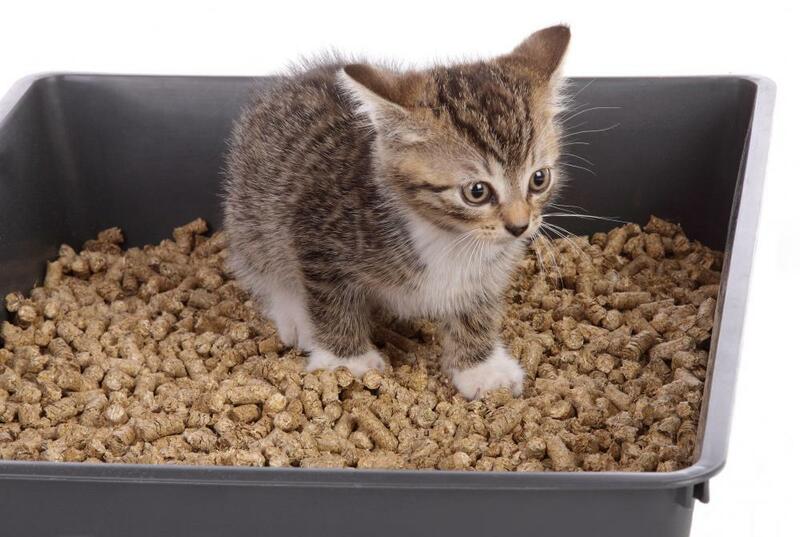 When changing the cat’s litter box, sprinkle the bottom of the box with baking soda before adding the fresh litter, or mix a bit of baking soda with the fresh litter. To freshen up Fido’s bed, sprinkle with a generous dusting of baking soda, let sit 15 minutes, then vacuum. Test in an inconspicuous area first to be sure the fabric is color-safe. Baking soda works great as a dry shampoo for dogs. Rub baking soda into the dog’s coat, then brush thoroughly to remove. To eliminate odors in athletic and other shoes, sprinkle the insides with baking soda after taking them off. Let sit overnight and shake out in the morning. Alternatively, fill the toe portions of a pair of clean, thin socks with baking soda and tie a knot in the top of each. 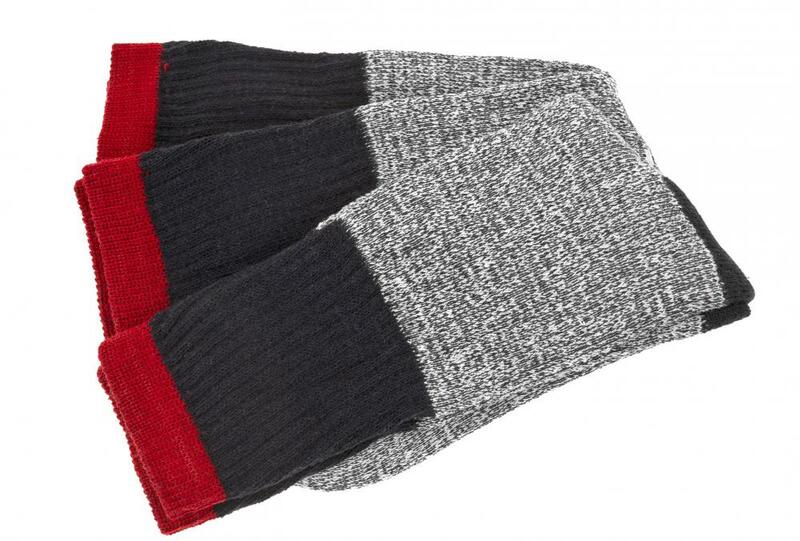 Tuck the socks into the shoes whenever they aren’t being worn. Baking soda is an effective deodorizer for smelly carpet, upholstery, and cloth auto upholstery. Simply sprinkle with baking soda and let sit for about 15 minutes, then vacuum. Be sure to test for color-fastness in an inconspicuous area first. When putting clothes into storage, include a few baking-soda sachets to keep them smelling fresh. To make the sachets, cut off the foot portions of a few pairs of new knee-high stockings, fill the toes with baking soda, and knot to close. To prevent musty odors from spoiling outgrown baby clothes, stuffed animals, and other textile items in storage, include a few baking soda sachets in the storage boxes. Place an opened box or two of baking soda in a car or camper that has been put away for the season. Store fabric patio-furniture cushions with baking soda sachets to keep them smelling fresh. Upon removing them from storage, sprinkle the cloth surface of the cushions with baking soda, let stand for 15 minutes, then vacuum. Repeat periodically throughout the season. Be sure to test for color-fastness in an inconspicuous area first. When putting clothes into storage, including a few baking soda sachets to keep them smelling fresh. To make the sachets, cut off the foot portions of a new knee-high stockings, fill the toe with baking soda, and tie into a knot. What Are the Benefits of Baking Soda Shampoo? How Do I Choose the Best Pet Deodorizer? How Do I Choose the Best Dog Deodorant? 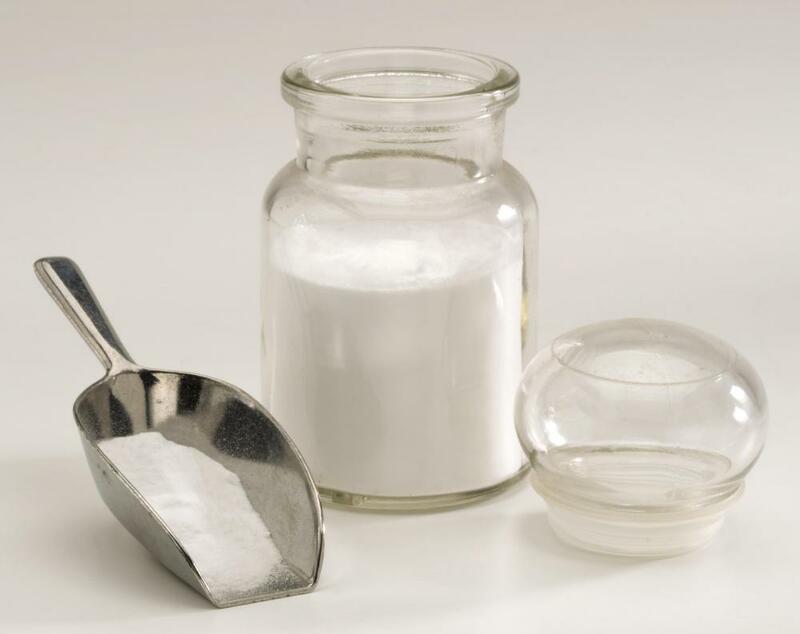 What is the Difference Between Baking Soda and Soda Ash? My friend uses baking soda to get rid of the dog urine smell in the carpet at her house. She is currently training her puppy, and he's having a few accidents along the way. I have dogs, but I have hardwood floors, so that is something I don't have to worry about. However, baking soda has come in handy for me a time or two when the dogs come back from their adventures smelling awful. I have one dog who often comes home smelling slightly like a skunk. He doesn't like it when I do this, but I sprinkle baking soda all over him and rub it into his fur. I've never managed to get to the step of brushing it out, because he is large and strong and runs away from me. I'm lucky just to get the baking soda on him at all! @seag47 – Yes, you can. I used baking soda in my washer to get rid of the dog urine smell on the comforter. I poured baking soda in with my regular laundry detergent. I added half a cup to the liquid detergent before I turned on the washer. It was the only thing that got rid of the urine smell. I was so glad! You can also use it as a mild bleach for white items in the washer. I wash my white towels in baking soda to get them brighter. Can I use baking soda in my washing machine? Some things that I wash still have an odor after they come out. I'd like to see if baking soda would remove that odor. You can use baking soda as a dry shampoo on yourself, too. Just don't put it right onto your scalp, because you'll have a tough time getting it off. If you stand in the bathtub with your head down, you can rub the baking soda into your hair without getting it on your scalp. You can massage it all the way up to the roots this way. Since they are the oiliest part of your hair, they need it the most. Can I use baking soda to get rid of cat urine odor? I recently got new cat and the old cat is not taking too well to it. There have been a lot of territorial battles and marking of things and suddenly my apartment reeks of cat urine. This is not exactly an odor removing remedy, but you can wash your hair with baking soda. If you just mix a little into a cup of water and work it in to your hair it will get clean and shiny without having to use harsh chemical shampoos. I use baking soda as a kind of foot powder. I sprinkle some in my shoes and sometimes I will rub it on my feet as well. It dries up the moisture, masks some of the odor and makes my feet fell clean. I don't know if it is a perfect equivalent to foot powder, but it works for me. Baking soda is the daddy of cheap solutions when it comes to odors. I'm a carpet cleaner and I use it a lot. I like to sprinkle baking soda into my vacuum bag. It reduces the musty smells that your vacuum seems to disperse. Ever had a smelly mop? Mix together a gallon of water and 4 Tbsp. baking soda and soak your mop in it. Sprinkle some baking soda in your crisper that you keep your vegetables in. Cover the bottom with a paper towel. This will keep your veggies crisp and fresh. Run baking soda through your dishwasher about once a month instead of detergent to get it good and clean. Baking soda can also be thrown onto a stove fire to put the flames out. Carbon dioxide is generated when the baking soda burns and it starves the fire of oxygen.